If you’re into any level of adventure travel, you’ve probably got a GPS device and some kind of go-to mapping app for electronic navigation. I know it’s one of the most common questions I’m met with on the trails and I typically don’t have a solid answer for people other than “it depends.” This is because the market has become so saturated with products in niche areas that it can be challenging to find affordable options for our weekend activities that can also serve a purpose in the same sphere as our fitness watches. I’m not likely to take a large iPad and a plug-in receiver on a hike where a fitness watch would better serve that purpose. With so many activities and lifestyle factors at play, there has to be a one-size-fits-all option for everyone, right? Today I’m going to get us started moving in the right direction with some little-known products and try to help you determine the right device for your activities. There’s no solid one-size-fits-all option for everyone, but we just may be able to get you close. As we move through this topic, I want to stress that I haven’t used every device on the market, but I have been doing this for a long time. 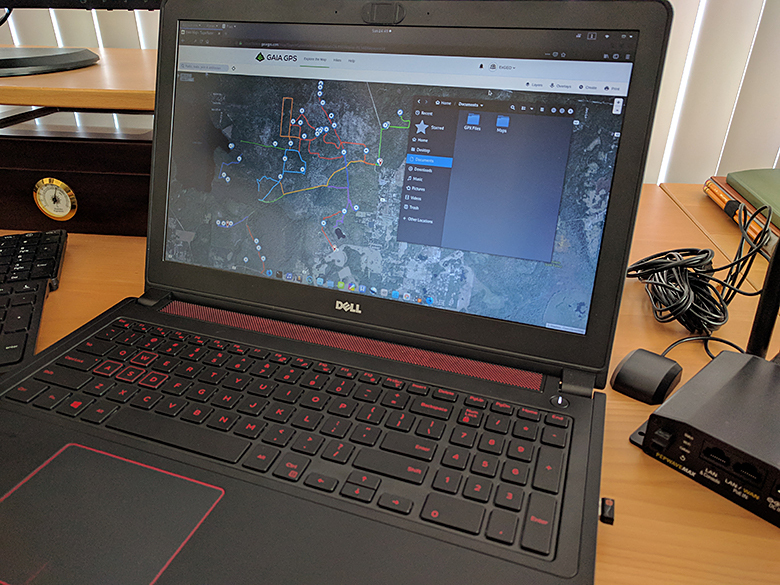 I used Microsoft Streets and Trips back in 2005 to chase tornadoes from a massive Toshiba laptop, dreaming about how nice it would be to have WiFi for our GRLevel3 storm software. I’ve had my hands in everything from the Blue Force Tracker to the Garmin ForeTrex and most other things in between. I’ll break down some of the things that work well for my personal use and for my team’s use on the trails. There’s a lot of information to cover on this subject so we’re going to be lumping some together so that it’s as streamlined as possible. First up, we’re going to be discussing most handheld units and GPS/Fitness watches, as well as where they belong in the world of outdoor activities. We’ll define “fitness” as any activity that you perform on a daily or weekly basis that involves familiar routes and a relatively low probability of navigational errors. I’m not saying a GPS watch can’t serve a greater purpose than tracking and posting your run to your favorite app, but they’re not practical for many heavy users. This will also lump in the more basic style of handheld GPS devices as they’re typically limited in capability. 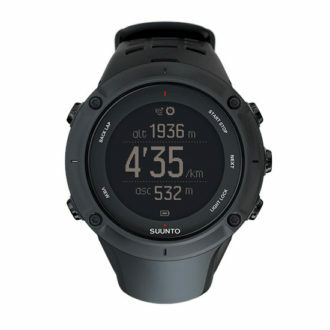 As an example, I’ve been wearing the Suunto Ambit3 since the beginning of 2015 and it’s been an incredible hiking companion. I’ve used it to log waypoints in foreign countries so that I can grab straight-line routes to the nearest embassy, airport or train station if everything goes pear-shaped. I also use it for my hiking and biking adventures all around the country. I typically don’t broadcast my information to my MovesCount app, but I know that’s an option if I ever need it. It’s not going to get me to the nearest Taco Bell (probably for the better) but it will log my miles and get me out of a dangerous situation if I need it to. Handheld GPS devices are sort of like a movie villain that refuses to die. With the exception of devices like the Garmin Rino 750, I think these things are better off replaced by your cellphone. Nearly every phone on the market now comes equipped with an internal GPS receiver that will handle your electronic navigation situation without any complaints. The main point to make here is that it’s important to be completely familiar with how your maps will function without cellular service. Google makes it optional to download complete map sections for offline use, where other mapping services like Gaia GPS have a minimum base layer map available in any condition. Speaking from experience, I’ve reverted to my iPhone and offline Google Maps after I took a new device to the field without the manual. I know there are a lot of you immediately doing one of two things. You’re either already writing angry comments about how I trashed satellite devices or you’re going to school me on paper maps and a compass. I deserve the latter, but we’re going to talk about devices like the inReach, SpotX and Iridium GO! shortly. This is a category all its own. Personally, I don’t think most of these handheld devices even deserve a spot in your bag, but there are a few components I really like. Garmin makes a device called the inReach Explorer that gives you tracking capability, basic electronic navigation functionality and the ability to share this information via satellite. You also have the option to two-way message other inReach devices on the Iridium network. The key selling point for something like this is the relatively low-cost barrier for the massive Iridium satellite array and the reliability of the SOS feature provided by said network. Devices in this category would be well-suited as an emergency device for any situation where navigation and SOS features would be needed. Most general aviation aircraft will contain an Emergency Locator Transmitter, but there’s a chance that the older aircraft may contain outdated equipment that’s no longer monitored or lack the capability to transmit at all. 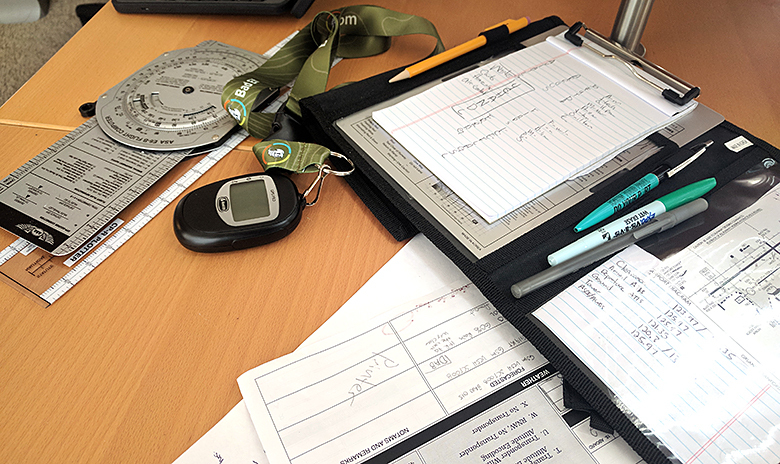 Vehicle breakdowns, plane crashes and boating emergencies can all be great candidates for this unit, but I would caution against using these as a primary means for navigation. If you’re boating by chart and compass or flying Visual Flight Rules, you’d probably be fine with one of these in your Go-Bag for emergencies. There are some other makes and models out there like the Spot Messenger X. Personally, I haven’t used one of these but in my research over the past year, I’ve seen some wildly varied reviews. While I definitely don’t want to share an opinion of a product I’m not familiar with, I do want to say that most negative reviews came from some kind of a testing scenario that the device failed. The majority of positive feedback I can find is merely speculative. I would really like to hear real-world experience from anyone that has used these devices with any success. While satellite equipped devices are a great back up solution for electronic navigation, most of us have moved to some kind of phone or tablet-based platform. Android definitely has a dog in this fight, but iOS is king of electronic navigation in my world. In recognizing the importance of devices that serve multiple functions and purposes, we’ve opted for an array of iPad models and several mobile platforms that help ensure we’re making good decisions along the way. We use apps like MyRadar to keep up with weather and almost exclusively use the Gaia GPS Teams account to handle all of our mapping and routing. Using multiple-platform systems like these afford our team opportunities to work on other resources from our laptops or our tablets without having to constantly switch back and forth. 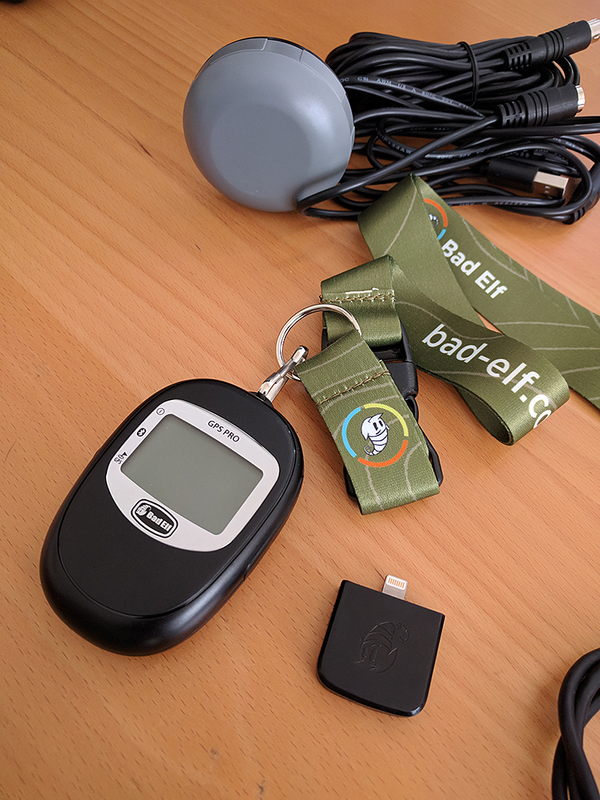 I did mention early on that there’s no one-size-fits-all option for everyone in electronic navigation, but one piece of equipment we’ve found to work very well is the Bad Elf GPS Pro. There are plenty of standalone units that will log your tracks for you, but we needed something that could pipe data to our tablets and also use an external antenna for when we’re confined to our trucks. Anyone who knows me knows that I’m no stranger to drilling holes into my truck for functionality so I opted for a through-hole antenna. One of the other pieces of equipment we’ve discussed in a previous article that we’re fond of is the PepWave Max BR1 Mini router paired with our MobileMark LTM407 antenna. There are some other options out there, but this is where we’ve settled in given the inherently robust, yet versatile nature of these devices. Typically when we upload daily tracks to a Google Map or into Gaia GPS for editing, we’ll pull our GPX files from the BR1 router. The drawback to location reporting with this setup is that you need cellular coverage to broadcast/report your physical location and it isn’t very portable. Fortunately, the router stores the data onboard for something like seven days so that it can be accessed later. Essentially, the router stores your GPS data even if it isn’t able to be uploaded to the cloud. With the limitations of our vehicle-borne router, we needed something that could also allow us to exit the vehicle and continue forming tracks. This takes us back to Bad Elf. (I know this sounds like more of a sales pitch for these guys, but I wasn’t paid to say this.) We’ve been using these things for years and I’ll cover the reasons we don’t use their competitors’ devices in the next section. We carry two devices for these tasks; the first being the GPS Pro I mentioned earlier and the second being their Apple-specific plug-in style device. With the Pro, we can log hikes, ATV rides, general aviation flights, or anything else that takes us away from our beloved BR1 routers and we can do it without anything but the GPS Pro device. Once we’re back in the truck, we can plug that Pro device into the external antenna and it feeds our computers and tablets with streaming GPS data and presents us with the option to download the recently recorded data. Their plug-in model is great for planning when you’re away from the trucks and you need a bit more detail on your device. They also do well with your iPhone for things like ATV treks or bike rides, but they’re not as resistant to the elements. While there are other options for small Bluetooth devices, this is the only one we’ve found that provides us with all of the functions that we needed specifically for our tasks. As with everything else, I recommend that you do your homework on each device’s specific features and assess them against your needs. I’ve found that the devices we use tend to cross over into many other activities quite well, but they do have one minor drawback. While they’re probably ergonomic to hold, they don’t look very tacticool. I always have some image in my head that advanced location equipment should be square and blocky and have rubberized coatings everywhere. I guess it shows that they cater to everyone. Now let’s cover electronic navigation in marine GPS, desert racing and emergency management. If you need to track assets for any reason, there are a few options to help get you where you need to be. If you’ve watched any form of desert racing, you’ve likely noticed that those guys are using marine chart plotters and GPS systems to make their way down the track. 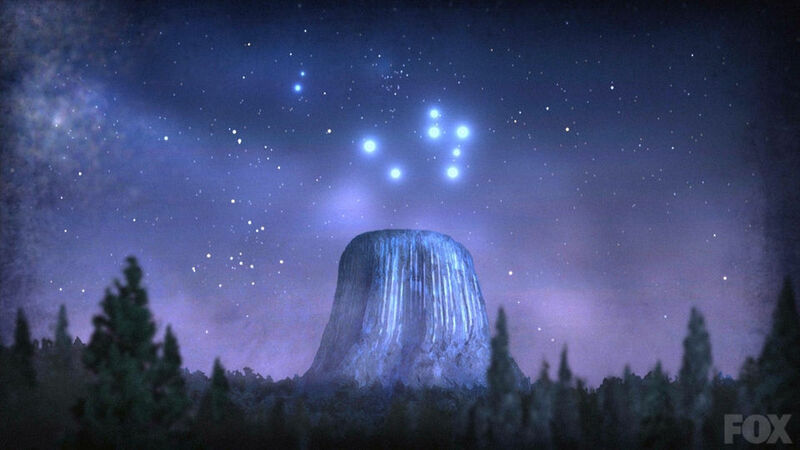 (This has nothing to do with the Stella III devices used in time/speed tracking.) Marine Automatic Identification Systems (AIS) are similar to our BR1 routers in that they pull GPS signal from their GPS antenna and then broadcast that data over VHF. Our routers use cellular networks, whereas AIS uses standardized VHF frequencies. You’ll also notice that it’s possible to track vessels all around the globe on sites like Vessel Finder. 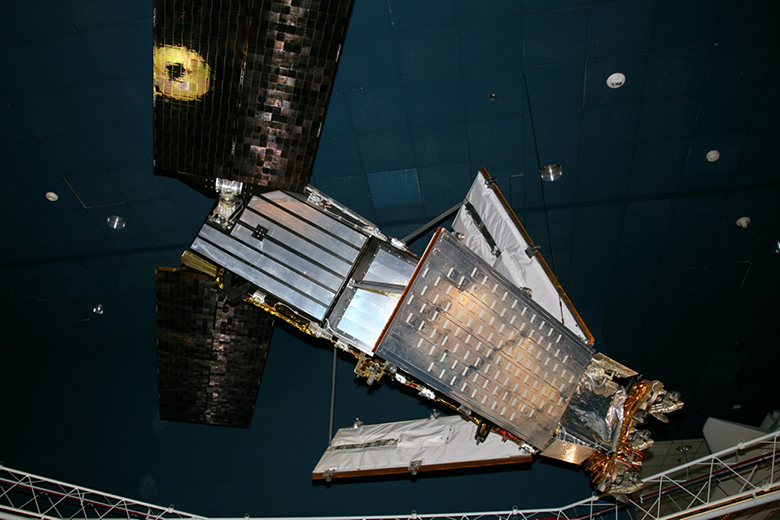 Due to the standardization of transponder frequencies and the interest of foreign nations to track goods and ships at all times, satellites were put in place to detect those VHF transponder signals. Typically more information is available on the ship when they’re close to shore, but if you really want that info you can go to aprs.fi and check areas along the shore. There are some other options for reporting your location information. 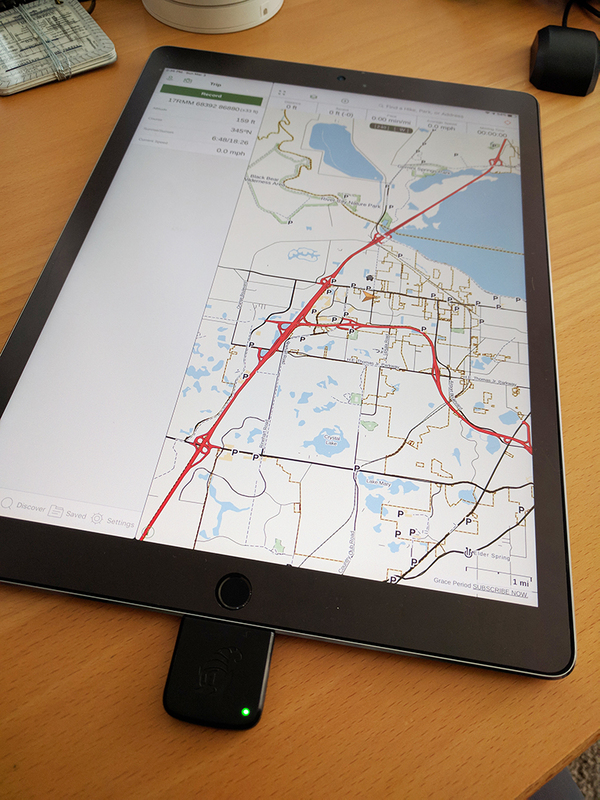 A company I recently learned about called LEADNAV is essentially combining satellite data and location reporting with the planning and tracking capabilities of most popular GPS apps. It’s my journalistic duty to give the most unbiased insight I can on new tech like this, so I did reach out to the organization for more info. It seems their founder, Damian, is a former career Navy SEAL with heavy involvement in mission planning and navigation. The LEADNAV platform aims to aid in off-grid planning and communication by reporting location and asset information into their cloud to be shared with your team or the rest of the world. A good example of this setup would be for emergency asset management. Teams are able to track their personnel in real time anywhere on earth through the use of the Iridium satellite network and proprietary software. Their platform aims to be extremely versatile, appealing to the adventure traveler, emergency coordinators, or even weekend warriors. 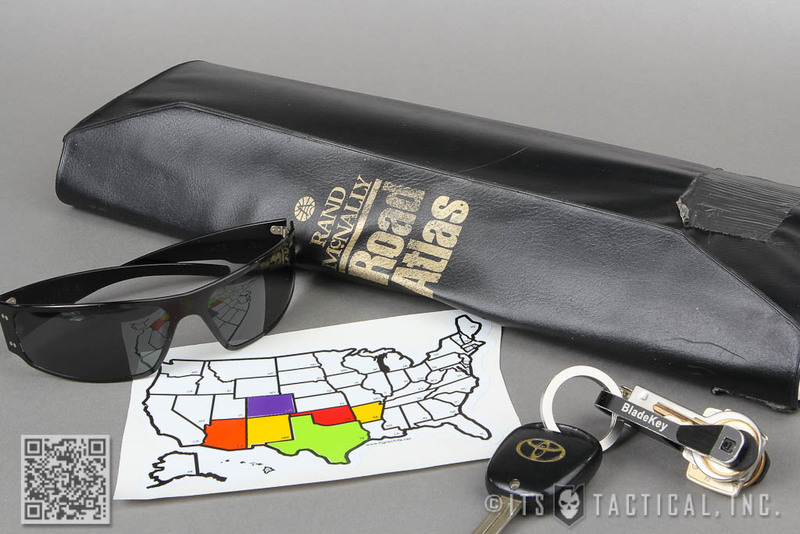 They feature options like basic GPS functionality all the way up to real-time tracking. One of the things I did say in the previous section is that I would discuss why we don’t use some external GPS devices. LEADNAV does use the Dual XGPS160 device that’s gained quite a bit of popularity in electronic navigation, however, we’ve found that it doesn’t quite fit the bill for our needs. I’m sure that’s an issue that can be easily mitigated, but I can’t say for sure what our systems would look like otherwise since I haven’t put my hands on their equipment. My beef with the XGPS160 is its perceived lack of versatility. While it’s a great receiver, I haven’t found it to be as convenient a grab-and-go option as our Bad Elf systems. I would say that if you’re considering purchasing a system like any of the custom-built LEADNAV products, don’t let the GPS receiver turn you off. My needs are not the same as yours. 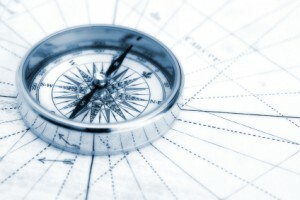 There are a lot of options out there for electronic navigation. I realize that some of my opinions are pretty strongly-held and that they may not exactly line up with yours; that’s fine. The most important takeaway here is to consider what your needs are. 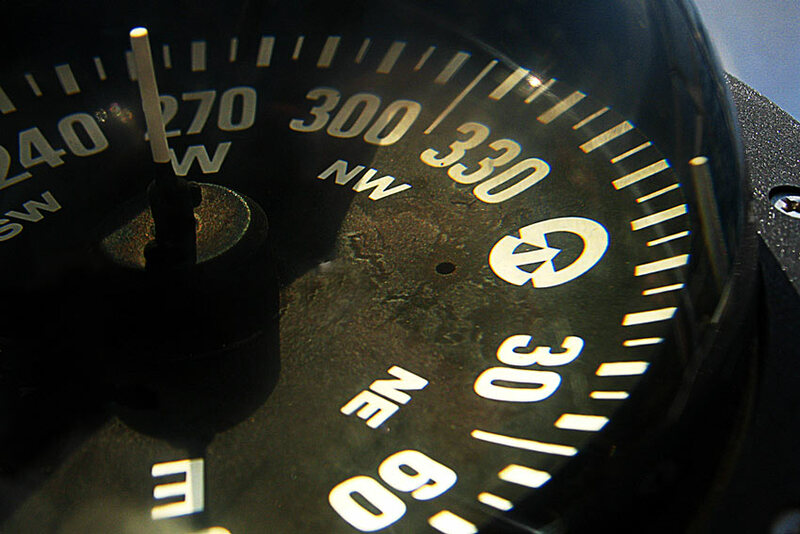 There’s a ton of information available and it can be quite confusing to navigate the intricacies of these electronic navigation technologies. Hopefully, this piece was helpful, if only because it offered a brief look into some of the less popular technologies. Feel free to ask any questions you may have or share your experiences in the comments. I tend to follow up on these articles in a pretty timely manner.